Chapada Diamantina Guide Ivan, Hike & Trekking in the Brazilian Grand Canyon / Gepersonaliseerde reizen in Chapada Diamantian / Séjours au Parc National Brésil-Bahia (guide francophone). 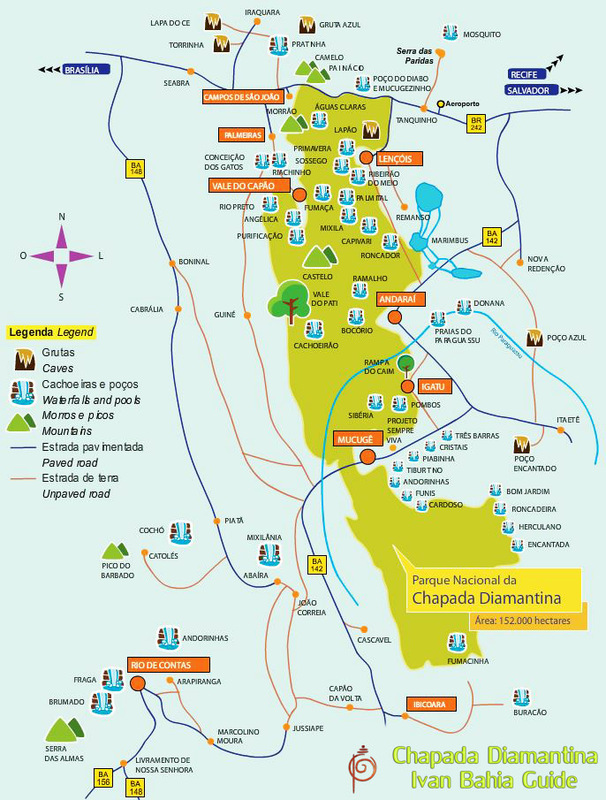 Best way to discover Chapada Diamantina National Park is with Ivan Bahia's Licenced tour guides. Lowest price. Book directly with Ivan Bahia Guide for the cheapest price. We're happy to work along our collegue Tour Guides from Zentur, Chapadaadventures Daniel, Flor, Bahiaflaneur, Zentour, Bahia Metisse, Pieter Diamantina Mountains, Ecoturchapada for their collegiality. Chapada Diamantina, view from Mount Pai Inacio. Chapada Diamantina, Vale do Capão. Amazing walks in the National Park. 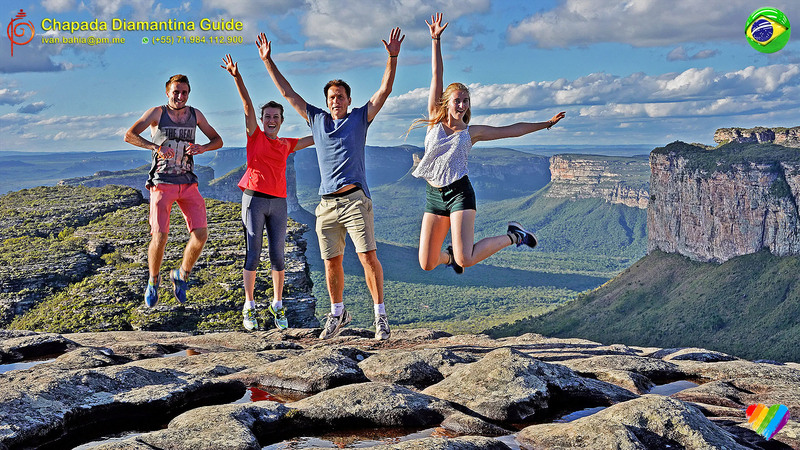 Enjoy the amazing nature in Chapada Diamantina National Park whilst walking or trekking. Chapada Diamantina is a 1,520 km² large national park in the center of the State of Bahia (NE Brazil), and is also refered to as the " Brazilian Grand Canyon ". This park is located about 430 kilometers West from Salvador. The National Park was finally founded in 1985 by President Sarney. Today it is considered one of the most beautiful National Parks in Brazil, and also referred to as the “Brazilian Grand Canyon”. We have helicopter transfers from Salvador to Lençois available for you. Come trekking with Ivan Bahia Guide and you will discover the amazing views of this Brazilian Grand Canyon in a very different way. Adapted to your wishes we bring you - day-tours, hikes and trekkings - to discover loads of amazing natural spots, at your tempo. Ontdek Chapada Diamantina Nationaal Park met een Vlaamse reisgids die al meer dan 10 jaar in Bahia / Brazilie woont, in het Nederlands EN op jouw eigen tempo. Wandelen en trekkings. Volledig georganiseerde reispakketten en dag-uitstap. 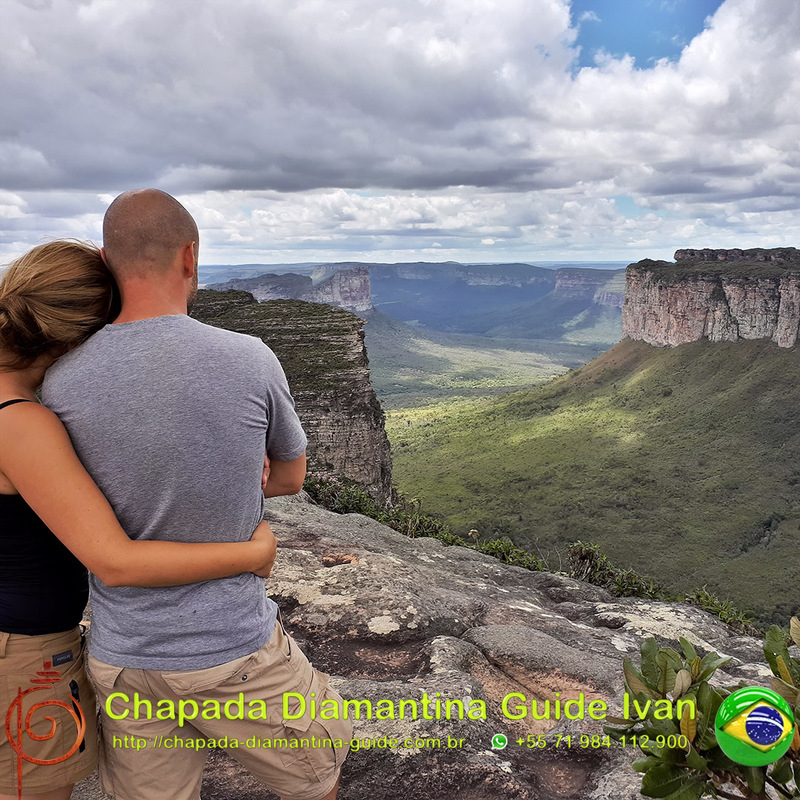 For those who already reserved all their hotel-nights in Salvador, or those who have really little time we develloped a NEW and EXCLUSIVE formula : Chapada Diamantina in a flash, a 1 day discovery tour of the National Park. There is indeed quite some distance involved, but during that mileage you can comfortably sleep in the car and accumulate your energy for walking the hottest spots of the National Park. Where to go in Chapada ? Lençóis is the ideal base location for your trip, as it is called "the gateway to the National Park" because of its privileged position in relation to most famous sights. The town is extremely small (about 2000 inhabitants), perfect for those looking for an environment different from the confusion of a big city. The Brazilian National Institute of History and Art list it because of its beauty. The town's name stems from the tents in which miners stayed by the river, which resembled sheets (lençóis in Portuguese). Here you will find people from all corners of the country and the world (from other planets as well, some say). Friendlyness is the trademark of the town. Hospitable people, talkative, who create a climate that moves you to talk to the first person that appears. All kinds of people live here: foreign nationalized, hippies, Buddhists, and even natives, of course. EXCLUSIVE on the local tourist scene, we offer a direct PRIVATE TRANSFER from Lençois DIRECTLY to VALENCA where you can take the Ferryboat to the islands Morro de São Paulo / Boipeba. 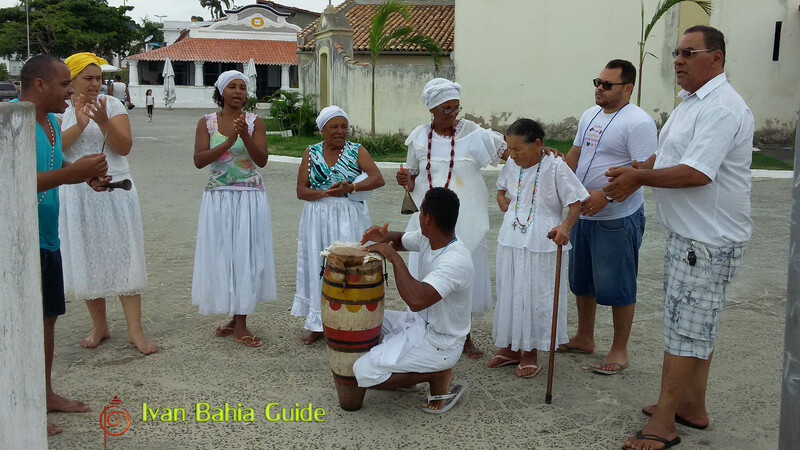 Ivan Bahia Guide offers day-tours, complete voyages, photography tours, translator service and private transports all-over Bahia. Our team is available for all your (personalized) travel needs and wishes in Salvador / Bahia. All our travellers can also rely on a punctual AIRPORT transfer service. 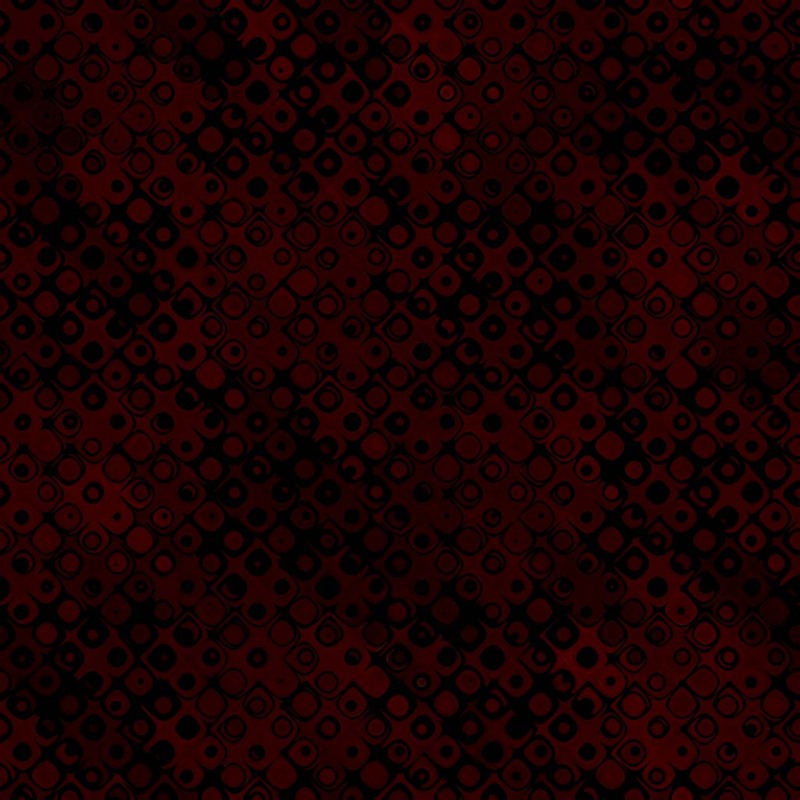 Generally we take on individuals, couples (possibly with their toddler and/or youngsters) or groups (up to 30 participants) which have our complete and undevided attention. Have your driver available 24/7, speaking your language and providing an executive transfer-service throughout the whole of Bahia. Part of our team is specialized in transportation logistics for tourism, research or business all-over Bahia with a high level of efficiency, knowing to meet with any type of transportation needs, in a flexible AND punctual way. Visit our airport/hotel TRANSPORTATION PAGE for a reliable airport transfert in your language.